98 Olds intake gasket is it leaking coolant? 1998 Olds Intrique 75000 miles used as second car and driven very little. Is it really leaking coolant?? mechanic said it was and needs intake gasket and valve cover gasket (do I assume if you change the intake gasket you have to do the valve cover gasket at the same time?? Car runs great with lots of power, doesn't smell like it's burning oil or anything. nothing seems to be dripping from the car. He said this is a common problem with this make of car. If this is an external leak - what happens if I don't do anything. Is there a "stop leak" type of product that a person can use? It's going to cost over 600.00 not looking forward to repairing this if it's not needed. 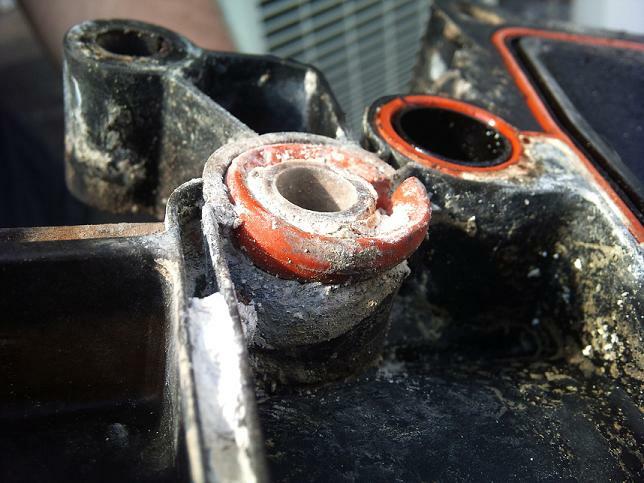 Is there a way an average person can tell if coolant is leaking? Of all that it suggests you only know of an issue because you've had to add coolant perhaps more than once - right? Yes, the most common engine in this is prone to needing that intake gasket job but should be verified not just guessed at. The risk of serious engine damage from running way too low on coolant and overheating on what should be a nice low mile car now is worth the $$ for the right fix and yes, I believe the hours to do that properly is up there so labor intensive - cost is about right IMO. Add or include new coolant, any hoses, oil and filter or was that in the guestimate? We've never added coolant. Admittedly, the last oil change was 10,000 miles ago rather than the 5,000., but fluid levels were fine. We had the oil changed yesterday, but the mechanic didn't say coolant was low. Just that the intake gasket was leaking coolant and the car needed an intake gasket and valve cover gasket. No compression tests were done. It's up to you. You can spend the $600 now or you can spend thousands later when the cooling system and maybe the engine has to be replaced. I'm sure you have heard all the horror stories about Dexcool coolant turning to mud. This is the exact reason it happens, air introduced into the cooling system. The intake gaskets are a lot cheaper than a new motor when you cook this one.
? Not sure you have a problem quite yet? Does this shop/mechanic do assorted repairs or just a quick oil change place? Guess I'm asking if they are qualified to make a diagnosis. If you can't see any coolant leak evidence and none has been added I think I'd hold off. You can check the cost of just a valve cover gasket on line and bet that's some time too but would be part of the intake job gasket set. Just because a car is prone to something doesn't mean it will happen to that one nor the other way around. Oil changing is a must so don't let that happen again. I fear places don't tell you what they added as that's also time for fluid top offs and you should know what was topped off. Coolant doesn't lose any normally and anytime it needs adding is a warning as are other fluids. Hey - the 10,000 mile oil change goof up! If this engine sustained or made sludge you should know it. Anyone could check a dipstick or look inside some oil fill caps even for a clue. It does kill engines! Many valve cover gaskets are because a PCV system isn't overcoming normal blow-by of oily gasses and oil get PUSHED out when there should be a slight vacuum in crankcase. Problem could be plugged up PCV system, excessive blow-by or can be just a gasket job. Perhaps you should seek a second opinion on what this really needs. If this car is in good overall shape take care of it. This is the pay back time for a car for the care you gave it. Depending on another opinion or your decision I'd be earlier by miles than the 5,000 even on a good older car. If generally rusty or not a keeper for more do what you want. Don't use stop leak...you'll regret it later. When you do the lower intake gaskets also replace the plastic upper intake manifold and install the EGR outlet tube upgrade. The EGR flow tube cooks the plastic intake and causes the coolant passages to leak. It can actually leak inside the manifold and hydro lock the engine in some cases. The lowers intake gaskets have a composite carrier and the rubber becomes unbonded from the carrier due to dex-cool being a plasticizer and the expansion and contraction of the intake shearing the gaskets. Valve covers are really easy to remove when the lower intake gasket is removed and would be a good idea to replace the seals. Also have the plastic bypass hose fitting replaced with a metal one. Yes, since we don't drive the car much - time/miles went by without paying attention to oil changes. Though before the oil was changed it was really black & down a bit (not to the add mark yet) Will go back to the 5000 miles we'd done previously. Am planning to get a second opinion and also putting some cardboard under the car to see if anything is leaking to the ground. Is there a computerized test they should use to see about the intake gasket? Where we took the car was where they normally just do the oil changes, check your battery, tire pressure, fluid levels. etc. Would the intake gasket allowing for coolant leaking (if he determined that by seeing coolant around the outside of the intake area) - allow coolant to get inside the engine? It he saw coolant leaking - would the engine have to overheat to allow for the coolant to get inside the engine? Mechanic didn't say there was antifreeze in the oil - I know that's really, really bad! If he'd said that there would even be a second thought. The lower intake gaskets can leak externally between the top of the heads and the lower intake. They can also get to the point they leak internally into the lifter valley underneath the intake. The plastic upper intake manifold can leak externally where the throttle body is bolted on and can leak internally into the top of the lower intake from the coolant passages between the upper and lower intakes which fills up the top of the upper intake causing a possible hydro-locking condition. We had the car fixed and it seems to work fine -- though I felt it was ok anyway. Had the intake gasket fixed and also it was recommended that we have the serpantine belt replaced which we did. We are now set for many more miles!